News reports suggest a mysterious Australian businessman, Jeffrey McGlinn, is the sponsor of a major amendment to Bougainville’s Mining Act. McGlinn is said to be behind the company Caballus Mining, and is proposing to set up a local firm, Bougainville Advance Mining or BAM. According to Radio New Zealand, the McGlinn group ‘wanted to shortcut a number of what it calls complicated requirements in the [Mining] act to fast track vital infrastructure development in Bougainville and boost employment ahead of the referendum on independence from PNG, due in June this year’. A major report from the ground, included below, has gone so far as to suggest the McGlinn consortium plans to seize control of all major mineral deposits across Bougainville. If true, this appears to be yet another scheme cooked up by the Momis government with foreigners, to make quick bucks under the banner of independence preparations. Worryingly, McGlinn it can be confirmed, is linked to a Somali national, Mr Qamar Khan, aka Stephen Khan, who is a close affiliate of Belden Namah. McGlinn acted as a Director in a company owned by Mr Qamar Khan, AUSPNG Holdings Limited. Khan sold the company to Siniwok Limited in 2015. Siniwok is owned by Beldan Namah. Mr Khan was also a Director at Siniwok Limited. This comes after Beldan Namah was recently rumored to have travelled to Bougainville for talks with President Momis. “A whole world and even more, is everything that Caballus Excellence World selects for the lifestyle of its members that have chosen excellence in their daily lives: from the refinement of taste in food, to reception in the most prestigious hotels, from luxury shopping online, to services reserved for art collectors, from travel by car, jet and yacht to the most exclusive destinations. This is our tribute to the elegance of the good life”. If the below communique is accurate, it appears a small few may see ‘the elegance of the good life’ courtesy of this amendment to the Mining Act, but the many on Bougainville will suffer. 1. 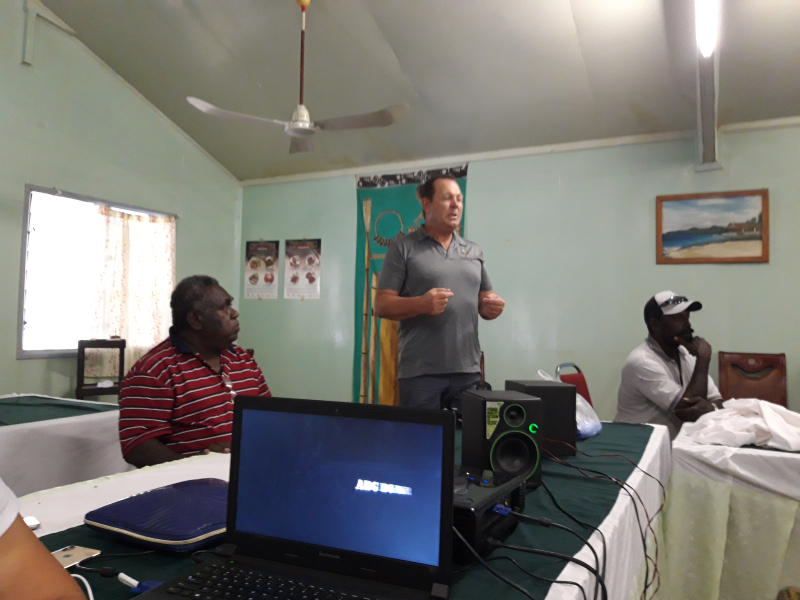 Caballus is suggesting amending legislation to completely side step all the safeguards, protections, procedures, and ownership rights, including the Customary Owners ownership provided for in the Bougainville Mining Act. Here you have a foreigner, who is trying to secure a significant personal interest, recommending the ABG strip the rights and ownership of the Customary Owners of Bougainville. Further this special vehicle (BAM) will be the only entity to which Special Mining Licences in Bougainville can be issued. It seeks to bypass the Mining department and the ABG administration. It covers all SML’s not only Panguna and effectively nationalises every SML- Mining Project and gives one man, Jeff McGlinn a 40% interest in every SML on Bougainville. 2 – final point, makes it clear the ABG’s interest is dilutive, so it does not have a non dillutive interest. Jeff McGlinn will arrange for the distribution of new shares to other investors. This mean Jeff McGlinn and his investors will personally control every mine in AROB, not the AGB and not the LO’s. It removes the LO’s direct ownership in the mining project, and right of veto over EL and SML’s. It is not as Jeff McGlinn says a “slight change” but a draconian change which takes away all the LO’s rights and ownership, and places them in the hands of one man Jeff McGlinn, and the ABG. The Caballus proposal does not say they are raising US$150m for the ABG for it to use, at its discretion eg the referendum costs. 3. Jeff McGlinn has to be given title first (he will try and raise the funds only after all approvals have been given). Caballus will then only “assist” the ABG with an initial capital raising. So McGlinn gets title first, only then does he “try” or “assist the ABG” to raise the money. In fact no guarantee, only a vague promise to “assist” the ABG to raise money. Again it’s not the ABG’s money but BAM’s money. So if he fails to raise the money. He still walks away with the title (40%) for nothing. So he is asking for the titles of all mines, only for a promise to “assist” with raising money. 4. says he is going to raise money from Sovereign States (and private investors). Note the investors will be foreign countries. This gives rise to all sorts of national security and independence issues for the ABG. Foreign Governments directly controlling Bougainville’s most strategic asset. 5. says the US$150m raising will be for the purpose of funding for the mine-Pre-construction and pre-operation. The first stage funding will be circa US$150m to commence the bankable feasibility study. This is not and will not be the ABG’s money therefore. As the ABG currently believes. It suggests the US$150m will be for new shares in Bougainville Advance Mining (BAM). The money therefore will be BAM’s and will be used for the above (point 14) specific purposes, not the ABG’s personal use. Further the very initial or starting deal is 60/40, but the proposal is absolutely unclear as to what % the investors who put up US$150m get, and what % the ABG will be left with. It appears everyone gets diluted pro rata but completely unclear. There is definitely on guaranteed minimum floor for the ABG. 6. Role of ABG. 2nd last Point. The ABG will distribute, administer, and maintain the BAM shareholding for Traditional Owners – not the Customary Owners themselves. The Landowners will not have a direct project interest (and therefore direct access to cash), as the current Bougainville Mining Act provides, with direct access and control over their share of the cash generation. 7. Use the income to rebuild Bougainville (infrastructure and facilities) This is illusionary and highly misleading. ABG will only have ultimately a minority interest in the shares of BAM- not a direct project interest. It will only get a dividend if BAM declares and pays a dividend. They cannot control that decision. If the BAM Board wants to retain the cash for expansions or new developments, there will be no cash for the ABG. The ABG will not have a direct share of project profits and revenue. Hopelessly simplistic and misleading. No provision for independent directors. Everyone is an executive director. No directors either representing the investors putting up the supposed US$150m or capital thereafter. This is just not possible.